A move away from nuclear power (NPP) towards renewable energies and reduced energy consumption has been achieved at the beginning of the dacade. The shift in energy policy was fostered by the expansion of onshore and offshore wind energy. For instance, Germany’s roughly 30,000 wind turbines (WT) currently produce a good 50,000 megawatts of electricity for households and companies. The Harting Technology Group wants to be part of the transformation under way in the energy sector. Harting’s product portfolio ranges from single components through complete customer-specific solutions and digitisation strategies. The company’s offerings also include consulting and services, thus providing the basis for long-term, lucrative and secure investments in this sector. Harting has a long experience in the development and use of connectors for an extremely wide variety of applications and challenges. WT are subjected to extraordinary stresses both onshore and offshore due to the particularities of the respective location, climate, corrosion and other environmental influences. Creating the foundation for maximum value retention of these systems takes optimal reliability, the best materials, high mechanical robustness of the components that are used, rapid assembly, optimal maintenance cycles and servicing that is simple to perform. In order to reduce the costs of erecting and operating wind turbines, Harting connectors can be of help. Modular wind turbines are characterised by flexibility of design and rapid component switch-out. Connectors significantly increase the modularity of these facilities – and more and more wind turbines are being designed accordingly. The pre-assembly of individual units makes the modular concept possible. Components are quickly and easily joined together only at the final location of the WT. Harting connectors are characterised by several advantages: using connectors to bridge WT modules can limit the monetary and personnel costs accrued during installation and operation of wind turbines. 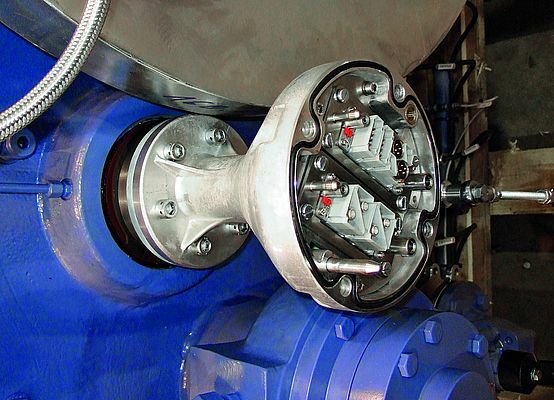 A good example is connectors at the interface between the slip ring body and stationary nacelle. The slip ring is used to e.g. transmit the signals for the pitch systems that determine the angle of incidence of the rotor blades. A pluggable design – for example Han-Modular® contact inserts and the Han-Modular® hinged frame – offers many advantages over permanently attached wiring. The slip ring can be replaced more quickly, thereby reducing downtimes and minimising revenue loss. In addition, if servicing is required, the slip ring can be replaced without intervention in the pitch system and without dismantling the connecting cables. The drives for rotor blade adjustment, blade heating, lighting systems and yawing, as well as the generator brakes, can also be connected simply. Complex wiring is no longer required. In the event of maintenance, worn parts can be quickly and easily replaced in Plug & Play fashion. Connectors also facilitate the work of the assemblers, which sometimes need to install components in difficult-to-reach angles on the gondola and tower. In all scenarios, using plug-in connectors provides convincing proof to users in the form of a reduction in costs and time expenditure. Connectors speed up installation and increase the modularity of a wind turbine, reduce investment and operating costs, and provide options for the optimisation and modularisation of the power cabinets. 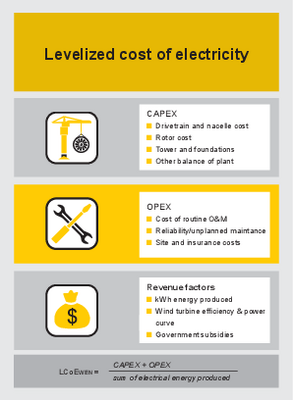 In addition, without a modular design the on-site logistics of onshore plants with an average output of 3.3 MW – including connectors – would quickly reach their limits.